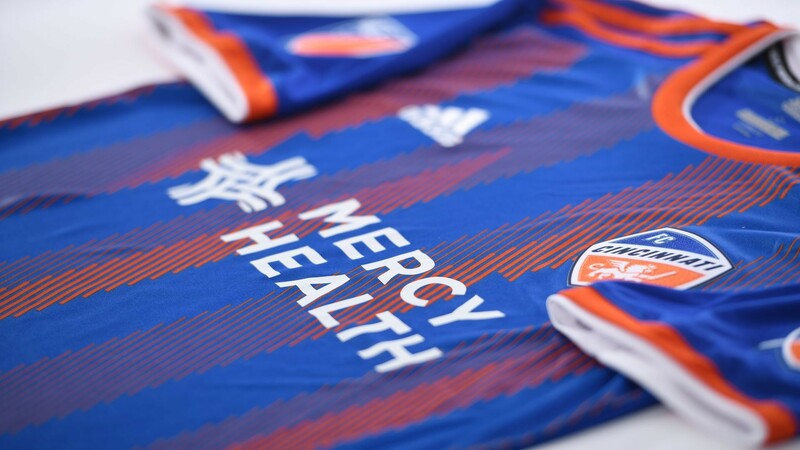 There’s always a buzz of excitement for fans awaiting the release of a new season’s kit, so the launch of FC Cincinnati’s first strip as an MLS club was a hotly anticipated event. Although they may be a newly established MLS club, technical partners Adidas didn’t have an entirely blank canvas to work with, and time constraints on the design process result in a look that will have left some fans wanting more for the Orange and Blue in 2020. 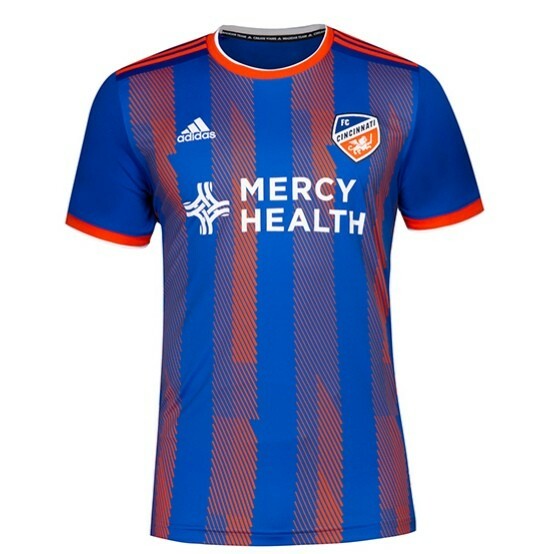 The expansion outfit will succeed the former USL Championship club of the same name and hold onto the royal blue and vibrant orange colours of their previous incarnation in their home kit which stays on the safe rails of a Mi Adidas template. 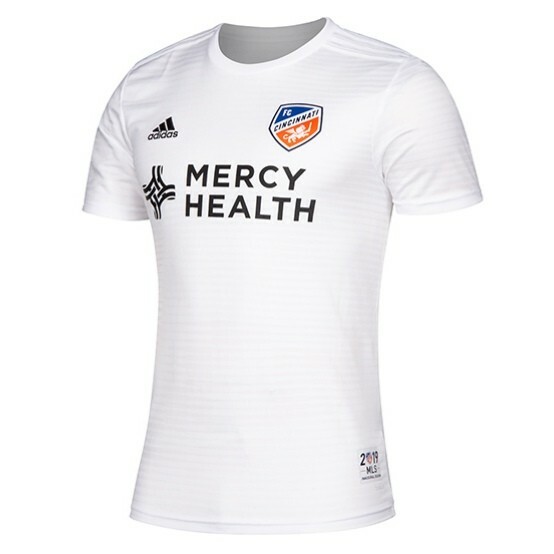 As it seems is customary for MLS teams, FC Cincy will line-up in a largely plain white kit on the road this year, as they become the league’s 24th team in the 24th year of the competition. 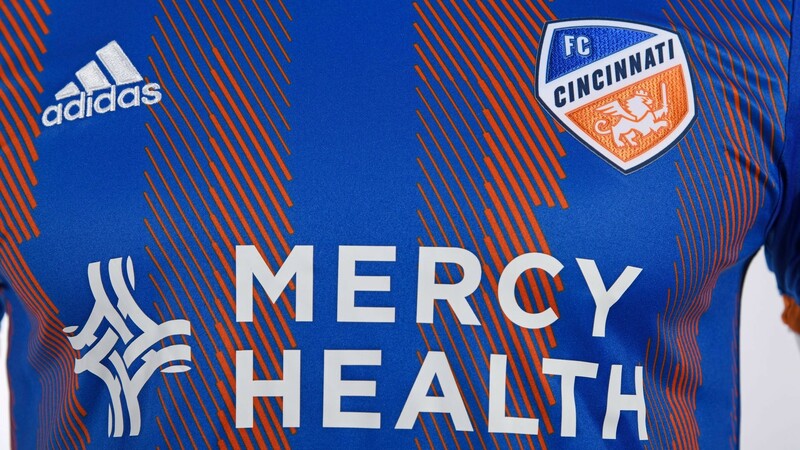 The club’s first set of kits are sponsored by Mercy Health and as part of the league-wide deal with Adidas, the German manufacturers have delivered a decent range of kits given the time pressured schedule from the announcement of the new Cincinnati franchise to approval and release of the finished designs. Up until the release of the new kits on Monday evening, we had only seen confirmation of the club’s new badge which draws on elements of the old club’s identity including the winged lion and a modern typeface that nods to the city’s German heritage. FC Cincinnati had only played for 3 seasons before beating 10 other cities to the right to form a new franchise and as a show of intention, the Queen City club will move into a purpose-built 26,000 capacity stadium in 2021. The Ohio club’s fans can now count Columbus Crew as local MLS rivals and their impressively named supporter factions including The Legion, The Pride, the Queen City Firm, the German inspired Die Innenstadt and The Briogáid (formerly known as the Bailey Bastards) now have a set of colours to take forward into battle. Adidas have done what Adidas do best, released a smart set of well structured kits that whilst following templates, deliver a bold and vibrant look for the new franchise, entirely in keeping with their already established look. Given some more time to play with the exceptional colourway that brings to mind great Holland and Luton Town shirts from Adidas’ past, we can’t wait to see what they come up with for 2020! 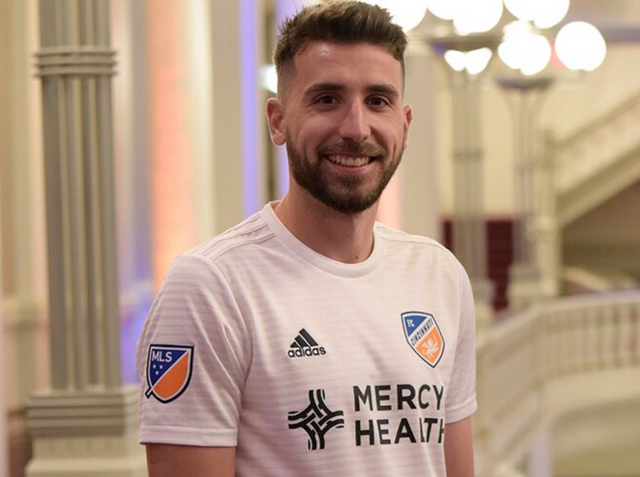 What do you think of the new FC Cincinnati kits? Interesting new kits. Well the home one is, disappointing to see another MLS side go down the plain white away kit route. I’ve never chosen an MLS team before, but I’m engaged to a girl from Ohio and Cincinnati is her nearest big city, so I may just have to adopt them as my team! Yeah this plain white thing is a little like the way NFL and NHL teams seem to operate. Would be good to see some extra hoops or stripes to liven those shirts up. All we are left with is a textured fabric and I don’t get too excited about those!